EVR valves is a normally closed, direct or servo operated solenoid valve for liquid, suction and hot gas lines with fluorinated refrigerants. EVR valves are supplied complete or as separte components, i.e. valve body, coil and flanges. 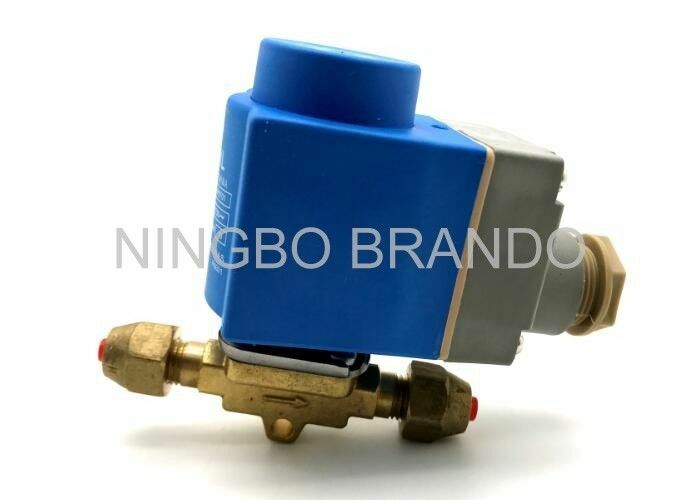 This solenoid valve is an automatic control parts used in liquid line, suction line and steam line of refrigeration system to control the refrigeration to pass or not pass, EVR valve is widely used in refrigeration compressor group, central air-condictioning, coldstorage equipment and bus air-conditioning system. 7, Complete range of solenoid valve for refrigeration, freezing and air conditioning plant. 9, Suitable for all fluorinated refrigerants. 10, Extended ends for soldering make installation easy, it is not necessary to dismantle the valve when soldering in. 11, It is also available with flange connection. 12, Copper connection size 1/4" through 2-1/8"